BIDDEFORD-The Windham Eagles handled the Biddeford Tigers 9-1 in drizzly and cold conditions at St. Louis Field. Windham’s offense was on fire as Nate Boyle had two singles and a double and Jack Herzig had a single and a double to lead the Eagles offense. 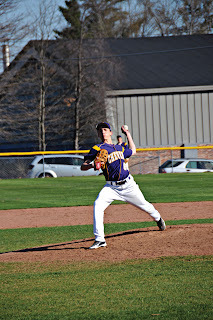 Defensively, Nate Boyle pitched a solid five innings striking out ten batters and allowing only one run. Joe Francoeur came on in relief and shut the Tigers down. 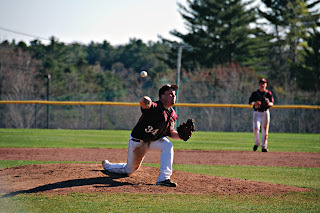 Biddeford used four pitchers in the game but to no avail on the Eagle hitting onslaught. WINDHAM-The Windham Eagles had two huge offensive innings to upend the Cheverus Stags 11-0. Shawn Francoeur pitched a three hit shutout in five innings. Coach Brody Artes was pleased with his team’s performance. “That is a huge heal point victory for us,” he said. Two of the three Cheverus hits came in the first inning. However, the Windham defense turned a double play to end the inning. 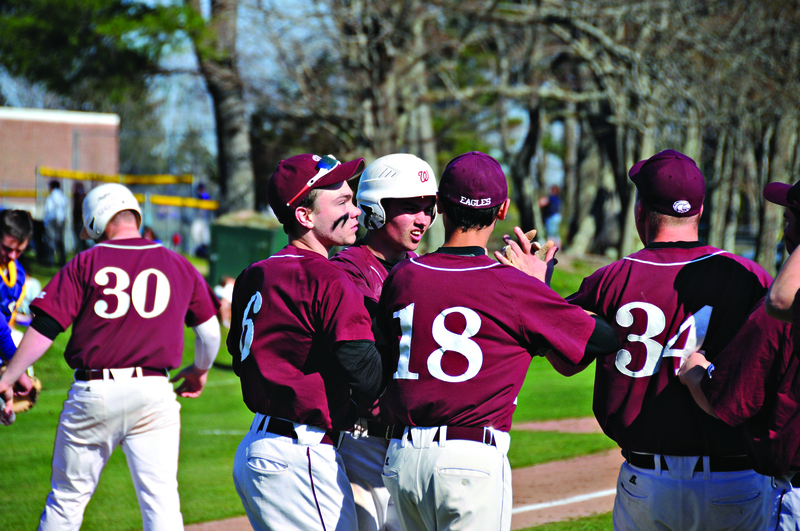 Windham’s offense struck hard in the second inning. Calvin Field led off with a single and stole second. Shawn Francoeur hit a double that scored Field. With two outs, the hitting parade continued as Francoeur, Tanner Laberge, Spencer Hodge, Jack Herzig would all find the plate to give the Eagles a six hit, six to zero lead to end the inning. wn the right field line to score two. The Stags ended the inning on a nice double play. However, Windham added three more runs to seal the game. 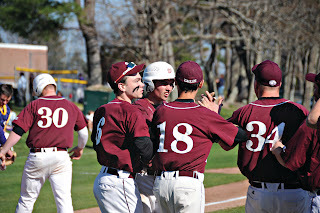 WINDHAM-The Windham Eagles extended their win streak to two games after defeating Massabesic 5-3 on Thursday, April 25.
d batters, despite a rough first inning. Massabesic had all their runs scored in the first inning. Caleb Campbell led off by being hit by a pitch and eventually scored. Massabesic also had all of their hits in the first. It took the Eagles time to warm up offensively. Calvin Field reached base on a single in the second inning. Field stole second advanced to third on an error on Shawn Francoeur’s at bat. Field would then take home on Francoeur’s delayed steal. Windham then came alive in the fifth inning. Shawn Francoeur led off with a walk. Tanner Laberge followed with the same. Ethan Petty grounded out to first to advance the runners. Nate Boyle put a ball in play and Massabesic tried to throw Francoeur out at the plate and failed. Laberge and Boyle were driven in by Spencer Hodge’s single. 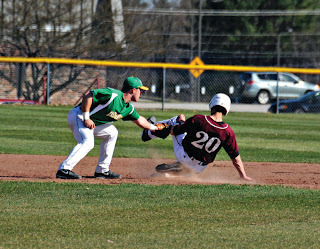 Hodge stole second and scored on Jack Herzig’s single. 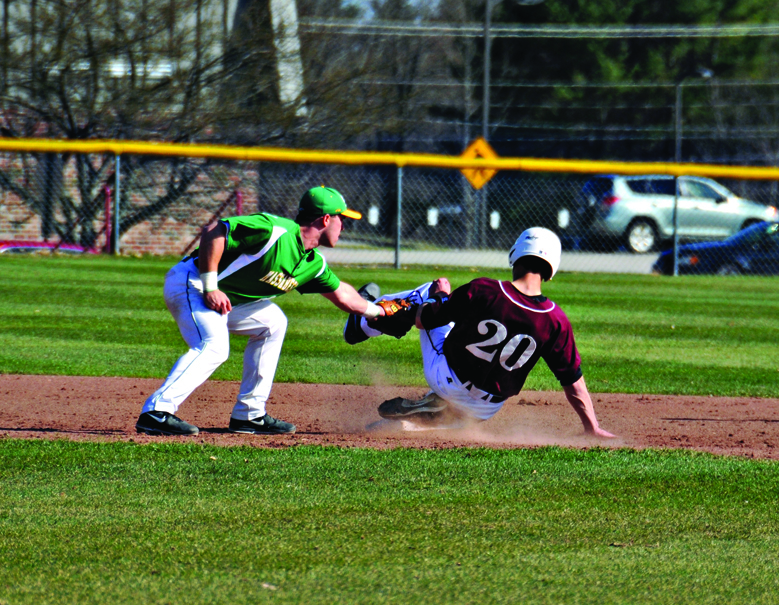 The Mustang’s pitcher Brian Wordwell threw Herzig out at first on a pick off to end the Eagle’s scoring bid. However, Windham’s four runs in the fifth were good enough to give them the win. SANFORD-At a great looking Goodall Field, Windham defeated the Sanford Spartans 5-4 in eight innings. Windham worked the bats early and put three runs on the board. Spencer Hodge got on with a single and advanced on a stolen base. 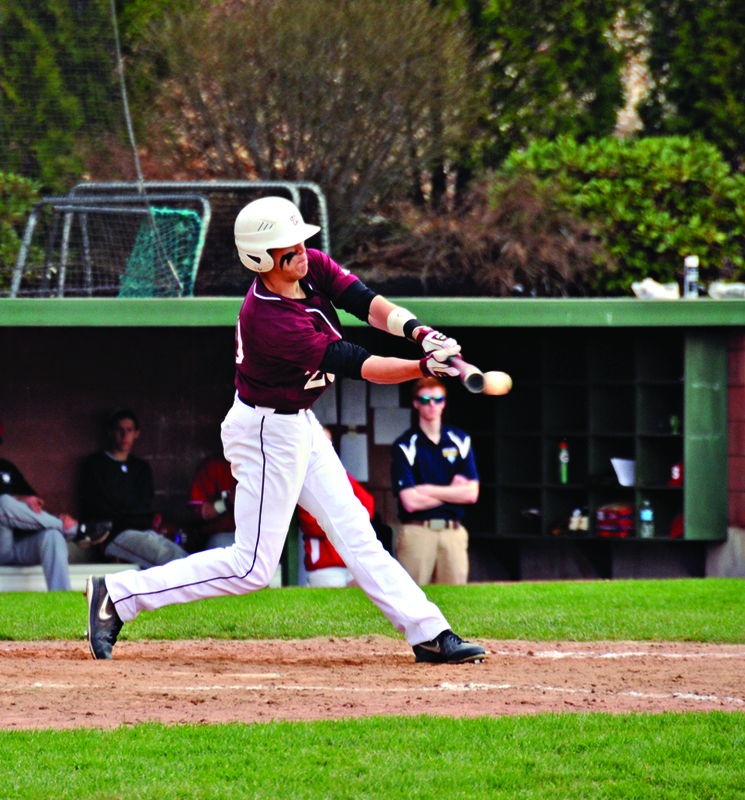 Jack Herzig reached base when he was hit by a pitch. Joe Francoeur stepped up and crushed a three run home run to put the Eagles on the board. Sanford answered in the first as they jumped on Spencer Hodge. They scored two runs on a single and a walk and then hit deep fly balls for outs, but advanced their runners. Windham stopped a potential fourth run when Nate Boyle fielded a ball and sent it to Joe Francoeur who relayed to Jack Herzig to get the out at home to end the inning. In the fifth, both teams scored a run apiece. Sanford struck the tying run in the fifth. 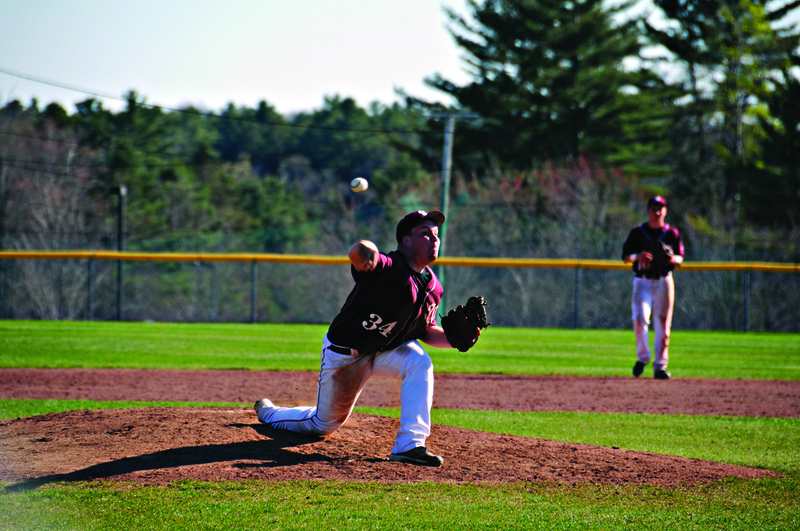 Nate Boyle had taken the hill for Windham in relief of Spencer Hodge. Despite the run, Boyle was confident. “Guys, get me a run and I will get you the win,” he said. In the top of the eighth inning, the Eagles struck the plate. Andrew Whiting reached on a single and advanced on Ethan Petty after being hit by a pitch. Spencer Hodge hit a single and Coach Artes waived Whiting home to score the winning run.